CUBA 70,80,90, 22 essential photographers. Cuban American Phototheque Foundation presents in this catalog 22 essential photographers documenting the Cuban Revolution in the 1970s, 80s, and 90s. From the Ivan Canas' image of a mature worker who looks straight at the camera while holding his tool like a rifle to the one by Willy Castellanos where a group of rafters escaping Cuba try to save each other from being drowned 25 years passed that changed how artists use photography in the Island. 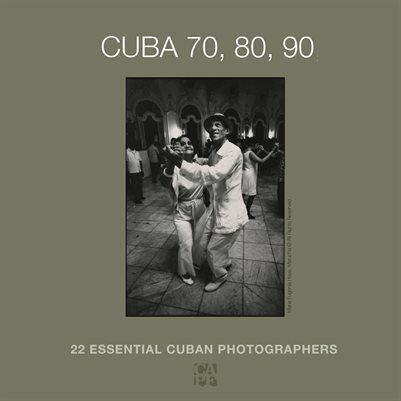 Fine Art Photography: CUBA 70,80,90, 22 essential photographers.